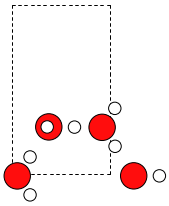 We will set up a one layer slab of Ni atoms with one Ag adatom. What is the unit cell so far? The argument scale_atoms=True indicates that the atomic positions should be scaled with the unit cell. 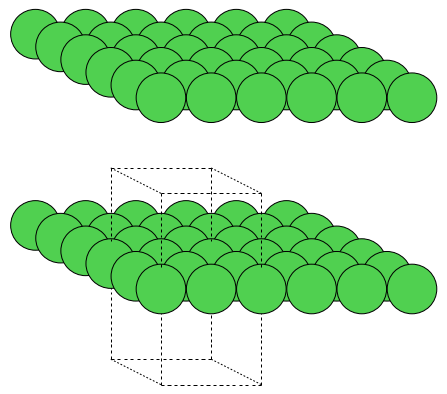 The default is scale_atoms=False indicating that the cartesian coordinates remain the same when the cell is changed. Within the viewer (called ase gui) it is possible to repeat the unit cell in all three directions (using the Repeat ‣ View window). Now try something else. 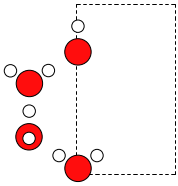 We will make an interface with Ni(111) and water. First we need a layer of water. One layer of water is constructed in this script WL.py, and saved in the file ‘WL.traj’. Now run the WL.py and then import the atoms object from the traj file using read. Lets take a look at the structure using view. 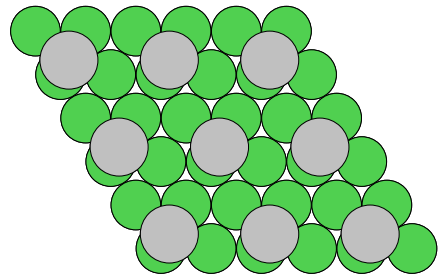 and let’s look at the unit cell. We will need at Ni(111) slab which matches the water as closely as possible. A 2x4 orthogonal fcc111 supercell should be good enough. 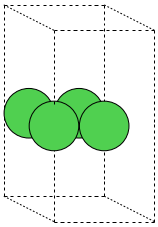 The positions of the water in the slab unitcell will be the same as they had in their own unit cell.